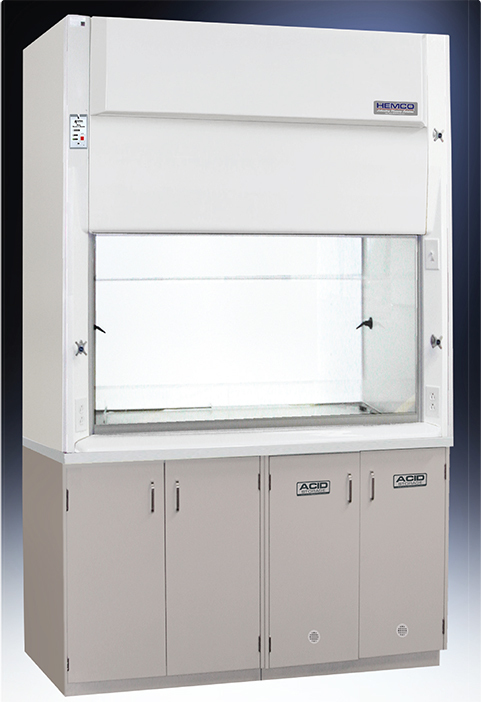 UniFlow Acid Digestion fume hoods feature a one piece fume chamber with integral reinforced work surface, and baffles constructed of HDPE. 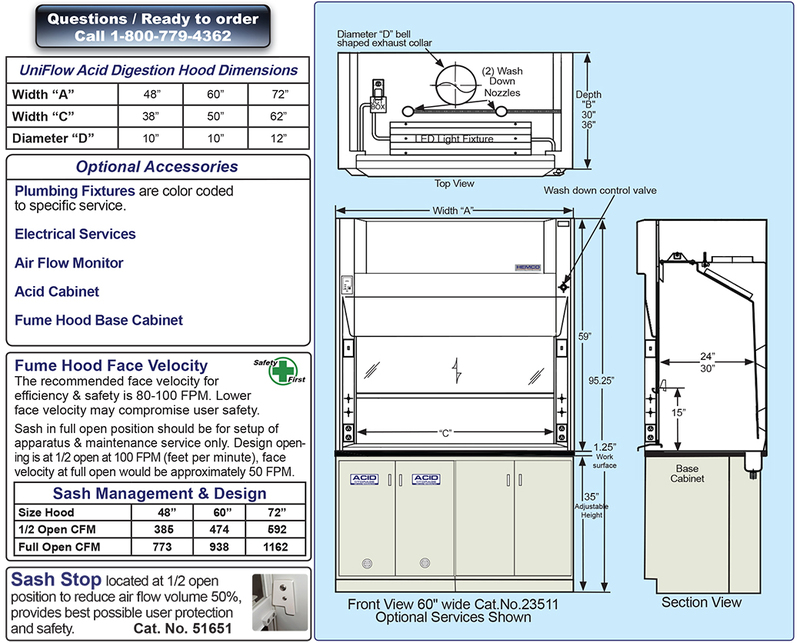 Digestion hoods come in 48”, 60”, & 72” widths & feature a dedicated wash down & exhaust system. UniFlow Superstructure constructed of HDPE exclusive unitized dual wall construction for superior chemical resistance (NO RUST), strength, and durability. Vent outlet is integral to superstructure and is available in HDPE lined hoods. Fume Chamber and baffle are constructed with HDPE liner with 24” or 30” interior depth. 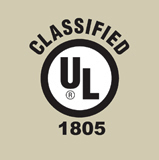 The one-piece liner is engineered to resist reactions from corrosive chemicals that don’t require high temperatures. HDPE Work Surface is welded integral to the fume hood superstructure and dished to contain spillage and includes welded in rear drain trough. If a sink is required HDPE would allow the sink to be welded in. Wash Down System hood is equipped with spray nozzles, piping, valve and rear drain trough for rinsing wash down after usage. Air Flow Monitor(Optional equipment) continuously monitors face velocity air flow, meets ANSI and OSHA requirements. shown with optional base cabinet and fixtures. Cut Energy Costs up to 50%, by reducing the size of the blower & ductwork required, while lowering installation costs. 1. Important: by incorporating Sash Management 1-2-3, you are saving 50% on overall energy costs, and providing the best possible user protection & safety. 2. Recommended that hoods be used with sash 1/2 open with face velocity of 80-100 FPM. Sash stop located at 1/2 open position. With upper sash raised to the 1/2 open position the supply air CFM & static pressure are as noted. 3. Sash in full open position should be for setup of apparatus & maintenance service only. If design opening is at 1/2 open at 100 FPM, face velocity at full open would be approximately 50 FPM. The recommended face velocity for efficiency & safety is 80-100 FPM. Lower face velocity may compromise user safety. 4. When hood is not in use, keep sash in closed position. 6. The Sash Stop is designed for user protection and CFM reduction. Allows sash to open to a maximum of half open, providing up to 50% energy savings. 7. Sash at full open is primarily designed for set-up of equipment and maintenance. Fume hood users should wear personal safety protection equipment, consult Lab Safety Officer. 8. 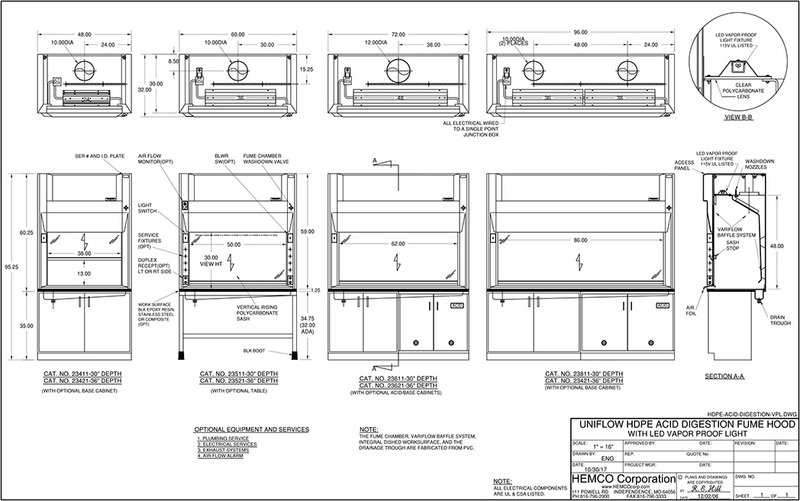 HEMCO recommends 10-12 room air changes per hour for the health & safety of personnel. Example 10’ X 20’ room 10’ high receiving 10 room air changesper hour requires 350 CFM air flow through the lab. 9. At an average utility rate of $7.00 per CFM, a typical annual savings on a 4’ fume hood would be $2705.00 and on a 6’ fume hood $4067.00, by using Sash Management 1-2-3., Sash Stop at 50% open. UNIFLOW HDPE ACID DIGESTION DESCRIPTIONS Hood Depth B Fume Hood Width "A"
1. Uniflow HDPE Acid Digestion Laboratory Fume Hoods: Seamless HDPE fume chamber with integral worksurface and drainage trough, all coved corners with baffle and exhaust collar. Hood has built-in wash down system with spray nozzles and piping to front mounted control valve. Picture frame sash opening with counterbalanced clear polycarbonate sash with chemical resistant PVC framing and track and aerodynamic sash lift. Vapor proof LED light fixture and control switch are wired to a single point junction box, 115/60Hz, AC All electrical components are U.L. listed. 30"
3. Polypro Exhaust Blower: Belt driven, include TEFC motors and feature a spray wash nozzle and drain in the blower housing. The specifications to the right are based on 100 FPM face velocity.